One of the newest products we've added to StoreYourBoard is our new skateboard rack, appropriately called the "naked rack", because when you mount it to your wall, it's like it's not even there. Just like a bikini, this rack covers the bare minimum, and stores and displays your skateboard and deck art in style. 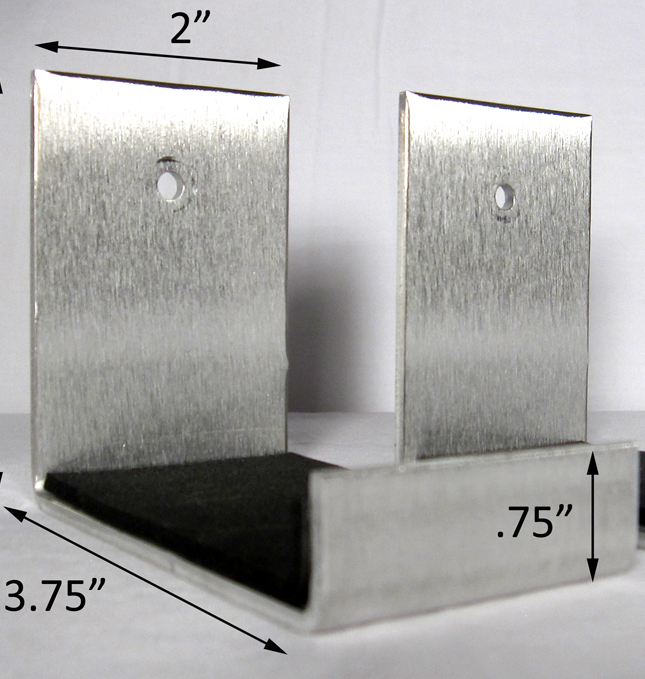 The rack itself is cut out of aluminum, covered with a foam rubber for padding, protection, and to keep your skateboard in place while mounted. And it was designed and is made in still the greatest country in the world, the USA. 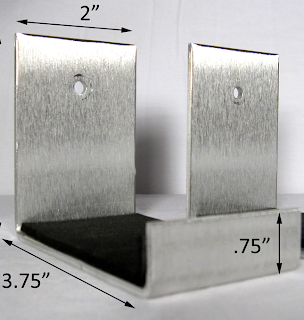 The rack's low profile gives your skateboard the same - a low profile, hanging tight and compact against the wall. 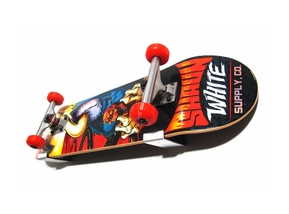 At the same time, it maximizes the display of your skateboard deck so that it's like skateboard art, definitely a master piece! All for only $14.99. So grab a couple and set up a studio.